It put it bluntly this is nothing but stealing as are all taxes. Obama is one evil sob and this proves it. Families will be forever in debt for this stealing. I should have said there’s “no accounting for how much people are willing to compromise to get some trinket from the candidate” but that would imply that I think the aformentioned people have two brain cells to rub together. It tells more about the person running for office than the people who were excited about the cheap little plastic favors. I truly do fear for my country. 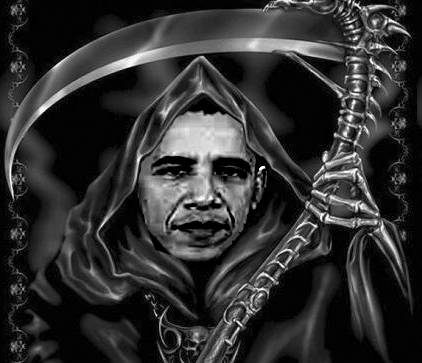 Death taxes comport perfectly with Obama’s “you didn’t build that” belief. When you die, we the people take ownership of X% (soon to be 50%) of the business you built, because you didn’t build it, we did. With this information… people are still lining up to worship him and “yech” kiss his feet?? >:-( Holy crap! No accounting for stupidity.